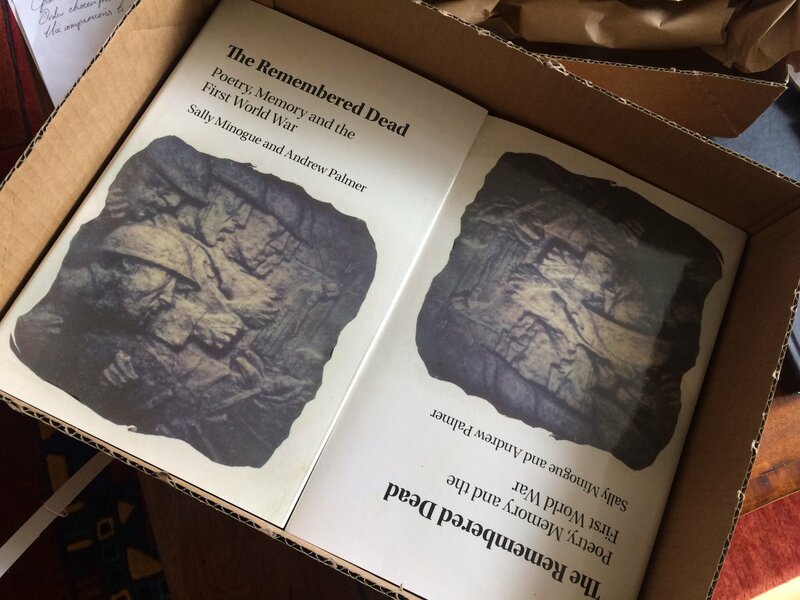 Andrew Palmer: my big news this summer is the publication of a book about First World War poetry, which I wrote with my friend Sally Minogue. This is the result of work over several years, and we’re immensely pleased to finally see it in print. The picture shows the moment I opened the box! Fresh copies, and an e-book version, will be available through our University Library soon! Meanwhile, I am looking forward to taking new directions in my reading over the summer – first off, I’m jumping back in time to read Jane Austen’s Sense & Sensibility (a long way from the trenches!) I loved it as a teenager, and the time has come to reacquaint myself with it. I’ll also be planning a new course with my colleague Claire Bartram for Year 1 students which (we think) will be all about the idea of ‘literary tourism’ – that strange world where Literature meets the Gift Shop. At some point, I’ll be sitting in my garden to read The Garden, a very long poem by Vita Sackville-West about, well, her garden – and the subject of my next academic paper. It’s great when you can mix work with pleasure. Stefania Ciocia: this year is the 150th anniversary of Alcott’s Little Women, my absolute favourite book when I was a little girl, as I have written here (and also a bit here). I’ll re-read it and binge-watch the film adaptations to get ready for an event I’ll be running for the Folkestone Book Festival in November. Oh, and I have added Little Women to my ‘Mad, Sad and Bad: Women in American Literature’ course. Can’t wait to hear what my students make of the March sisters! I am also dealing with sisterhood – of the biological and of the feminist kind – in my current scholarly work, which is about recent texts by Julia Alvarez and Edwidge Danticat. In the relative calm of the summer months, I am determined to find some time for my non-academic writing too: I’ve just finished two new blog posts on Pinocchio for Wordsworth Editions. I’m not sure what the topic of my next post will be. What I do know is that I enjoy the personal aspect of blogging. I love making perfectly serious literary points — and some frivolous ones as well — in an informal register, as if I were chatting with friends. Blogging is where I let my (scholarly) hair down, and feel free to explore why literature and storytelling matter so much to me. Astrid Stilma: For me, the month of July will be all about Scottish independence – in 1617, that is. That is the year in which King James VI of Scotland, who had become King James I of England in 1603, visited his native country for the first time since he moved to London 14 years earlier. The Scots were understandably a little concerned about an English take-over and about England dragging Scotland into situations the Scots would not have chosen for themselves… Sound familiar? Scottish writers and poets tried hard to remind their King of the independence of Scotland when they finally got a chance to talk to him in 1617. 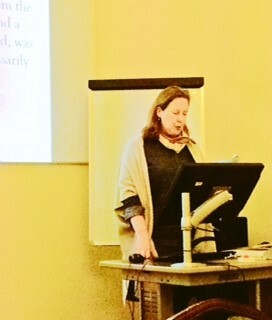 I did a general interest talk on the resulting poetry collection, The Muses’ Welcome, in Edinburgh last October and I am now writing this up as a scholarly article. When that’s done, I am very much looking forward to reading Hilary Mantel’s Bring Up the Bodies. I read (and loved) her first volume on Thomas Cromwell, Wolf Hall, when it came out but somehow I never got around to reading the next novel in the trilogy, which really is a bit of a scandal for someone interested in the Tudors. Part Three (The Mirror and the Light) is coming out soon, apparently. If you like historical novels, do check these out – they really are among the best. Peter Merchant: for me the likely highlight of the coming months is the date I am lucky enough to have at the end of August with Charles Dickens in the Czech Republic. Dickens turns out to be bigger in Brno than I could ever have imagined, since I am only one of a World Cup-size squad of scholars being flown in to lead eight hours of public discussion stripped across the schedule of that city’s summer Study of English showcase. Our own city, Canterbury, and the whole county of Kent are rightly proud of the strong local connections of this writer who at the same time continues to go down a storm internationally. An exciting collaborative project to which many of us at CCCU will in fact soon be turning our hands, and into which there is plenty of scope for student input, is the construction of a digital map of Kent aimed at helping us all to connect more intimately with the rich literary heritage (including but not limited to things Dickensian) which we have lying at our feet.